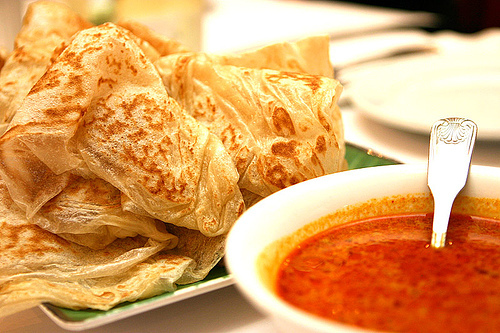 Originally, Roti prata was a kind of food that came from India and Pakistan. It is said that the mentioned countries developed the original ingredients for Roti Prata after it became a Singaporean favorite. 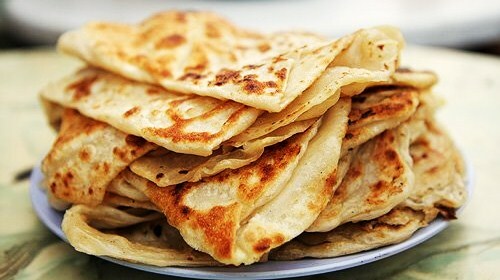 Ideally, Roti Prata is a combination of two words: Roti which means “bread” and Prata which means “flat”. This is a recipe that is made of delicate and sweet dough that is typically served with a plain curry or locally known as dhal. In addition, it has different toppings of sweet-flavored goods such as chocolate, banana, cheese, ice cream and any of your desired sweets. In Singapore, it is a perfect food in the morning. However, it is a must-try during dinner. Usually, Roti Prata – as what is practiced by the locals – is munched with a few sprinkle of sugar to bring out its delightful flavor. 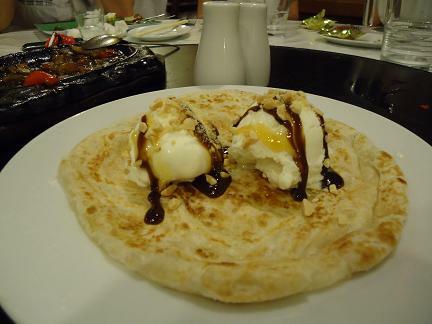 Remember that Roti Prata is a sweet dish. So, expect a lip-smacking and finger licking feeling after tasting its delicious taste. Forget about eating it using spoon and fork because it is much better if you eat this using your bare hands. Dip it into a fish-based curry and in that way, you will understand why it is described as a finger-licking pancake. In different food stalls in the beautiful city of Singapore, there are also distinctive textures and flavors of Roti Prata. However, its crunchy and chewy taste is present all throughout Singapore. Also, you don’t have to worry if you are having a hard time looking for it because all Singaporeans are proud with their dishes.